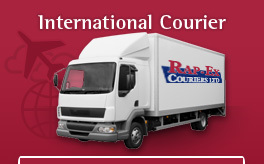 We provide same day, overnight and international courier services throughout the UK and beyond. 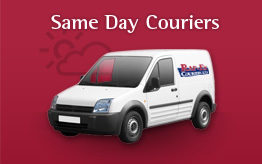 If you have an important and urgent delivery to make, our couriers will get it there on time. All our courier vans are fitted with state of the art tracking technology, so you can find out exactly where your package is at any point. Comprehensive insurance is included in the price, and you’ll get an email direct from our driver as soon as the delivery has been signed for. Whether you’re sending documents or display units, marketing material or machinery, you can be sure your delivery will be there when it’s needed. We can always find a van going where you need, when you need it. By making effective use of our national courier service network, we minimise wasteful journeys and keep the financial and environmental costs down. 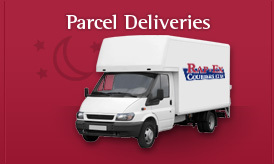 Our courier services are provided on demand. You can pay by cash, credit card, cheque or PayPal. We’re happy to set up accounts for regular customers, but if you only need us occasionally, that’s fine too. We care about every customer, and every delivery. Call us on 0800 6127012 any time, day or night, seven days a week. Tell us what you need delivering, where it’s going and when it has to be there, and we’ll give you a quote on the spot. Give us the go-ahead, and we’ll have a driver on the way to you immediately. All our vehicles are installed with Masternaute Tracking Technology.